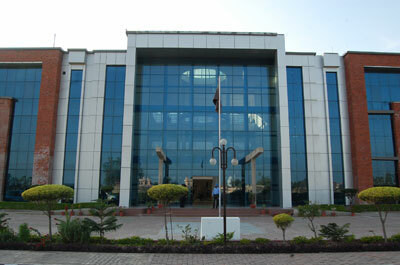 SWIFT TECHNICAL CAMPUS (Affiliated to Punjabi University, Patiala) has been set up with a view to foster value based management education and research to meet the growing need for qualifying and efficient managers and computer technology experts. Programmes are designed in conformity with the contemporary academics and professional scenario and business industry in India and abroad. Management studies are a way of understanding the basics of managerial skills and these courses also help individuals to become expert and specialist in handling different situations related to business management. It will be apt to say that people having management degree prove to be excellent managers. Management professionals are given training on various concepts related to business. They are capable of taking their responsibility in an efficient manner. The format of management studies includes practical as well as theoretical exposure to the present business environment. The students in these courses study the basics of management, methodologies, procedures, changing trends, systems related to business world that help them in facing the realities of the real business world. The things that increase the popularity of business management course are advanced curriculum of the course, presentations, case studies, assignments, industrial training, and internship training along with overall development of the students. Additional feature of these courses are campus placements with leading business players. This ensures bright future of its students. With business management courses, students gets specialization in finance, marketing, human resource, retailing, supply chain, advertising, hotel management, information technology, telecom, logistics, fashion etc. Salaries offered to managerial personnel are lucrative and they get vast exposure too.